Ten years ago, a Claude Monet painting “Beach in Pourville” was stolen from the National Museum in Poznan, in Poland. The thief left fingerprints at the scene, however. He was arrested in January and is now serving a three-year prison sentence. 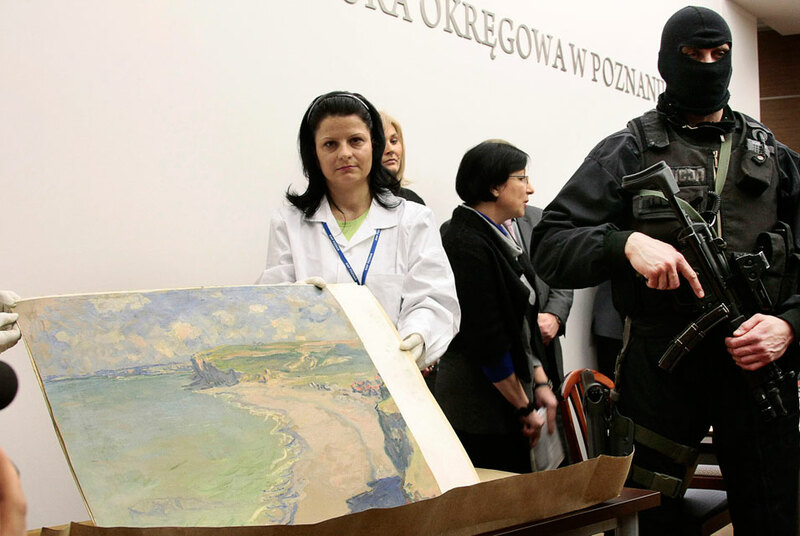 The painting was recovered earlier this year is going back on public view.